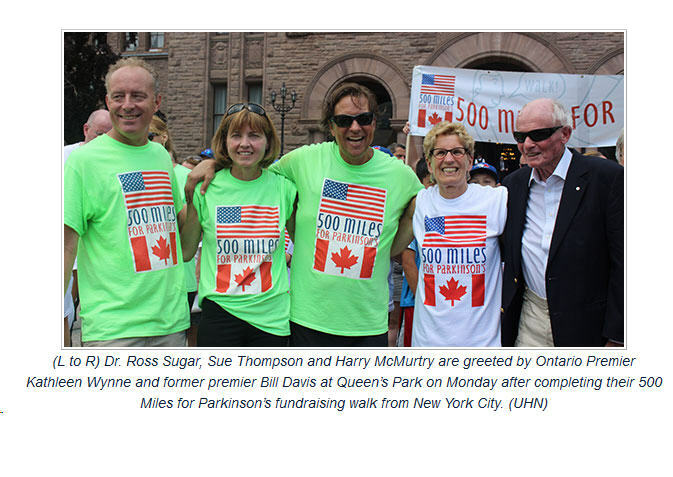 Sue Thompson, Harry McMurtry and Dr. Ross Sugar on their 500 Mile Walk in 2016. Sue Thompson is a physical education teacher, but in the summer of 2016 she took on the endurance challenge of a lifetime. 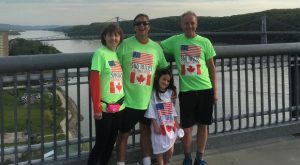 She, along with two other people living with Parkinson’s disease (PD), walked 500 miles in 45 days from the Bronx to Toronto to demonstrate what all people with the disease can achieve.